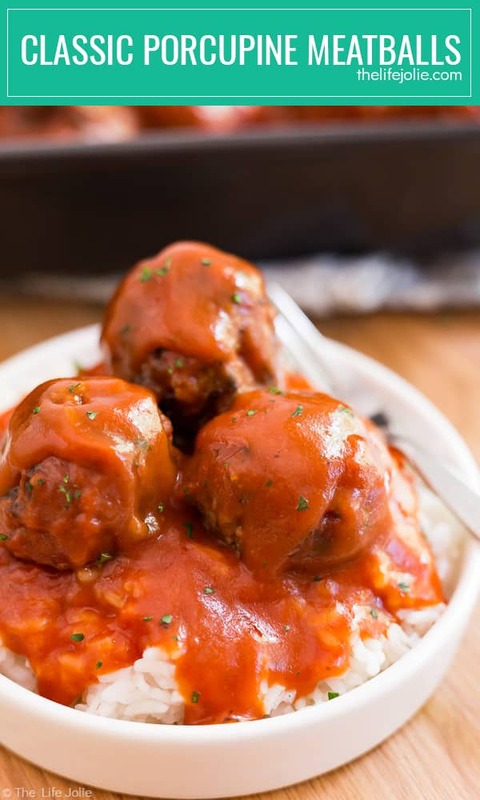 These Classic Porcupine Meatballs are a super easy family favorite recipe. 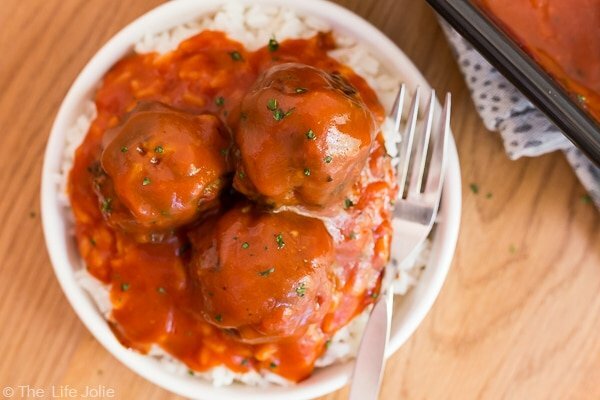 They’re simple to make with ground beef, rice and Tomato Soup to make the sauce and are then baked in the oven and served over rice. Head over to Walmart and grab the ingredients. This is the best quick meal for a busy weeknight! Want to shop for these ingredients? Hover your mouse over the item you’d like to purchase to click through to Walmart.com and purchase them! Have you been to the store lately? I don’t know about you, but I’m seeing a ton of Back-to-School items already! While I’m totally not ready for summer to be over, I strongly feel that it’s never too early to start sharing some great quick and easy dinner options for those busy school nights! Now, my kids may not be “officially” in school yet, but as working parents, we are well aware that time is of the essence. Who wants to spend their limited evening hours hassling over a stove with a million different ingredients when they can be enjoying that time with their family? I’d much rather get back to what’s important: family! 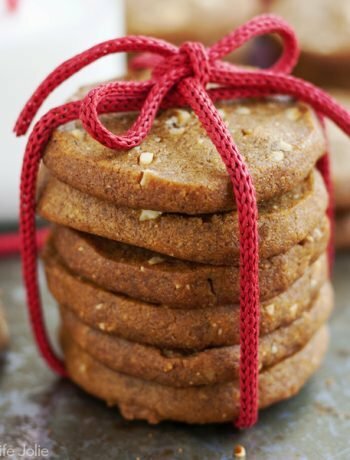 One thing that I find especially comforting on those busy nights are the classic family recipes that we all know and love from when we were kids. 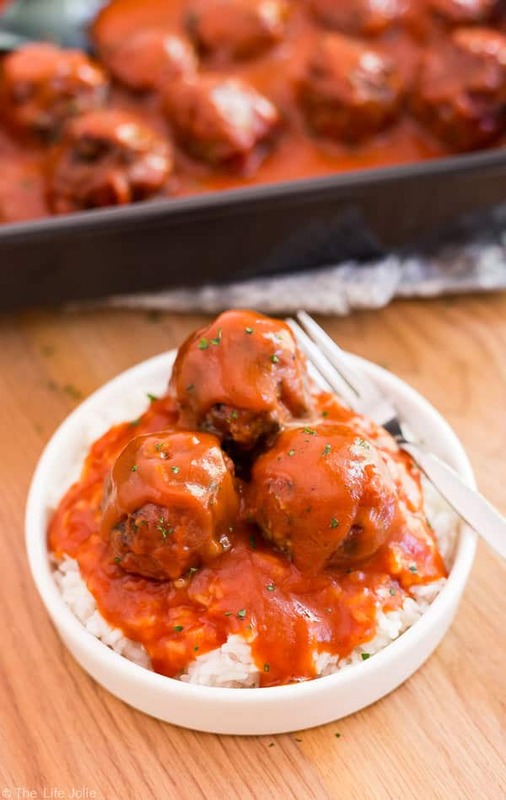 This Classic Porcupine Meatballs recipe was a beloved family meal in my husband Justin’s house when he was a kid. And even though I didn’t grow up eating it, from the moment I tasted it the first time his mom prepared it for me, the taste brought me to that comforting, delicious place that can only be conjured from the classic foods from my childhood. Needless to say, it immediately became a mainstay in our dinner rotation. One ingredient that is extremely important for this recipe is Campbell’s® Condensed Tomato Soup. This family favorite is loved by generations of kids. I don’t know anyone who doesn’t remember sitting down to a big bowl of Campbell’s® Condensed Tomato Soup and a grilled cheese sandwich. It’s full of great flavors that nourish the whole family! 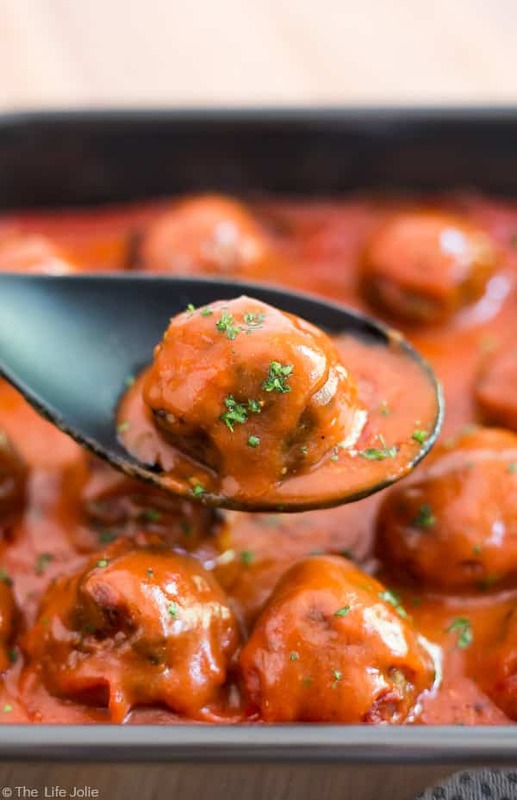 This Porcupine Meatballs recipe is a great way to add a tasty twist to this delicious soup and another way to make it special for your family. It’s so important to have an option that’s quick and easy but will also please everyone- and this dish delivers all that plus the comfort of a classic family meal! I also picked up a few other favorite items on this particular Walmart trip. I spend much of the day drinking water at work, so when I sit down for dinner, I generally treat myself by enjoying a beverage that isn’t water. I love that V8 Splash® is made with real fruits and vegetables. Not only is it delicious and refreshing, it’s a good source of essential antioxidant vitamins A and C.
Campbell’s® SpaghettiOs® pasta is one of my husband’s favorite quick and easy lunches. He loves the signature sweet sauce and the O shaped pasta (gotta love spaghetti you easily pick up with a spoon!). I think enjoying them on a relaxing Saturday afternoon with the girls almost makes him feel like a kid again. Getting back to the meatballs, I believe the unique name came from the fact that the rice that’s included in the meatball mixture can sometimes resemble a porcupine. I kind of see it, but usually I’m too busy going back for seconds to even notice! Either way, give it a try, I bet you’ll love it too! 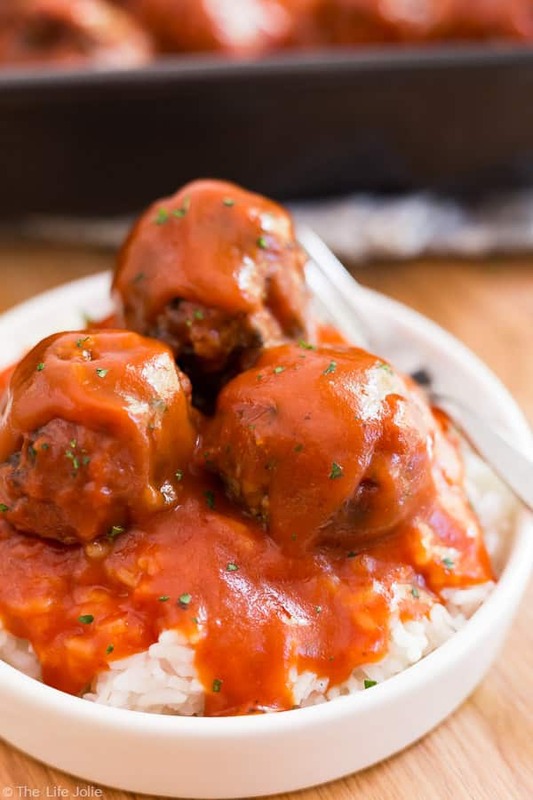 These Classic Porcupine Meatballs are a super easy family favorite recipe. 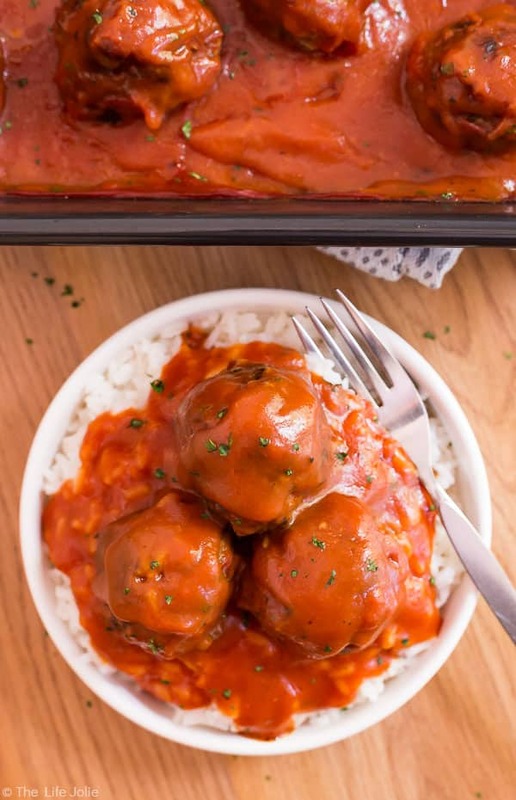 They're simple to make with ground beef, rice and Campbell's® Condensed Tomato Soup to make the sauce and are then baked in the oven and served over rice. 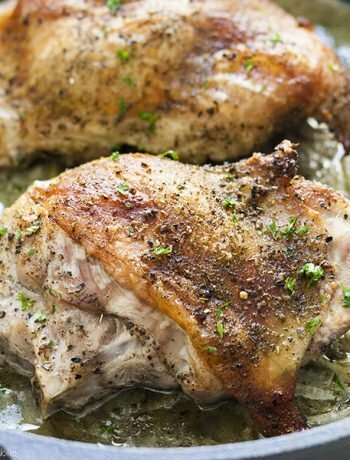 This is the best quick meal for a busy weeknight! 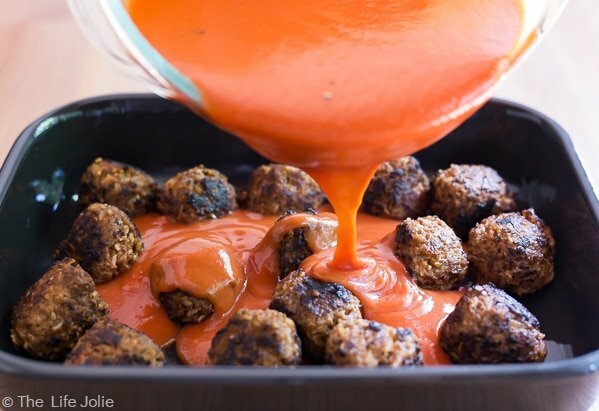 Using your hands, mix all meatball ingredients until well combined. Shape the meat into balls that are slightly larger than a golf ball. Brown all sides of the meatballs in a pan over medium high heat, turning frequently. Do this in batches so as not to overload the pan. 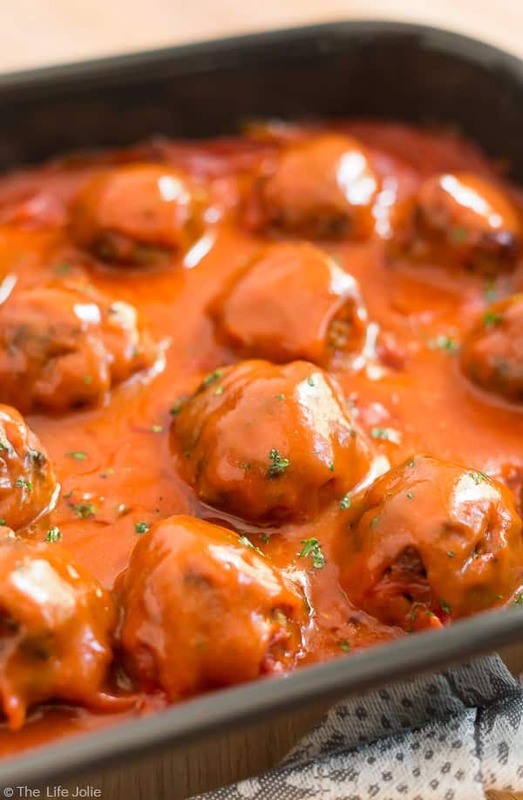 When each meatball is browned, remove them from the pan and place it into a 9" x 13" baking pan. In a separate bowl combine all sauce ingredients and whisk until they're fully incorporated. If you want it saucier, add an addition can of Campbell's® Condensed Tomato Soup. July 11, 2017 at 3:36 pm Thank you! July 12, 2017 at 12:02 am One of my favorite family classics! I haven't had porcupine meatballs in forever-- thank you for reminding me of this gem! July 12, 2017 at 2:29 pm Gotta love good old-fashioned family favorites :) I love that I'm not the only one with a soft spot for this recipe!